There’s a new trend in town. California Retro. Think rich, vibrant colours, decorative pieces and indulgent materials. The Pavel vase happens to be the perfect example. No, it’s not a print. Pavel’s made from earthenware, fired with a gorgeous reactive glaze. That’s what’s given the vase a naturalesque, speckled design, and stunning high-gloss glow. Portugal’s famous for fine ceramics. 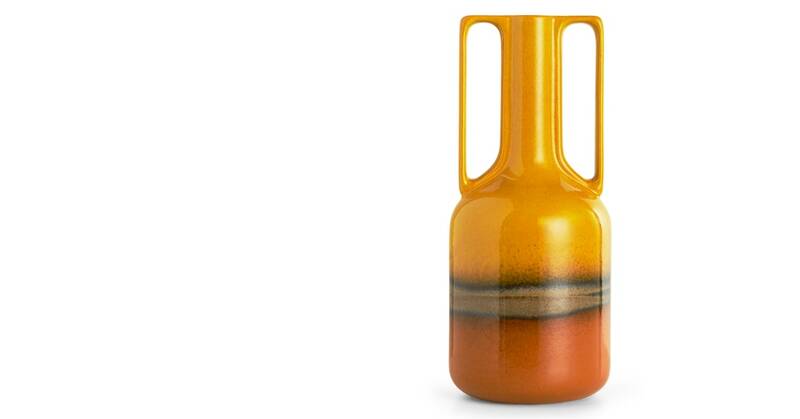 So, it’s no surprise this vase is so striking. Handmade by skilled artisans - check out the oversized yet slimline handles. A very designer touch.